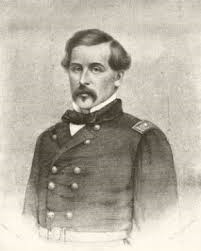 I often had to correct visitors who believe that Thomas Francis Meagher's body is interred in Faithlegg. Yet the family tomb is there, as are three other family plots, that I know of, around the world. But Thomas alas is in none of them. He's the man with four graves you see, but no body. Tried and convicted of high treason, he was transported to Tasmania where he married a lady named Catherine Bennett. In 1852 he escaped (but had to leave the pregnant Catherine behind) and via whaling ship eventually arrived in New York to a hero's welcome. Catherine and Thomas' first son Henry died during his escape and the infant was buried in Australia. This is the first grave. Catherine was eventually reunited with her husband in New York, but she returned to Waterford where a second son, Thomas, was born. She was a popular advocate for her husband's political activities and was in much demand for rallies and other speaking events. 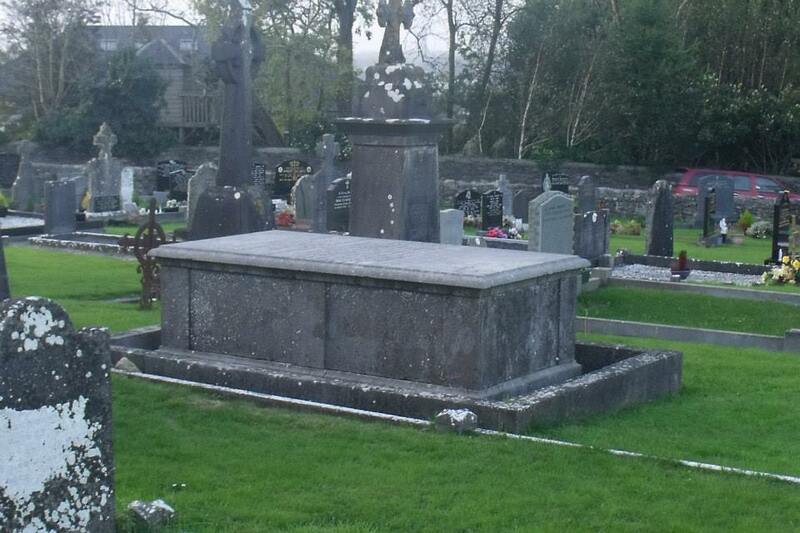 Poor health followed however, and Catherine died in Waterford in 1854 and was buried in the family tomb at Faithlegg. 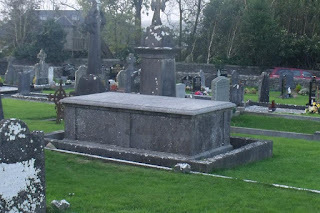 This is the second grave, and the one most commonly associated with him in Ireland. What an amazing character. Imagine travelling around the world in those days and achieving so much. 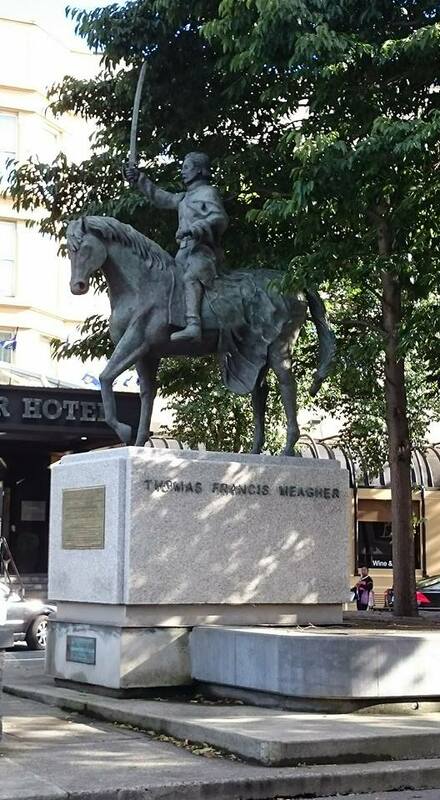 I was wondering Andrew why they commemorated a kind of 1916 drama in Waterford the other day, I presume the raising of the tricolour didn't happen like that? What do you think?